Martial Arists Jim Kelly rose to fame in 1970s when he starred opposite Bruce Lee and John Saxon in Enter the Dragon. 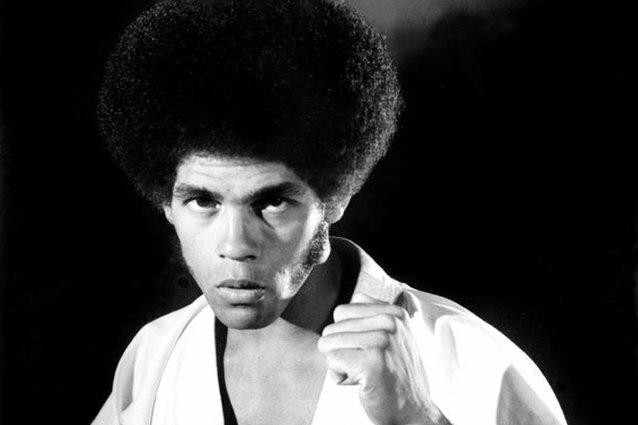 In his brief but successful film career, Kelly also appeared in films like Melinda, Black Belt Jones, Three the Hard Way, and Black Samurai. On Saturday, June 29, the 67-year-old actor died of cancer, CNN reports. In his later years, Kelly spoofed Bruce Lee’s Game of Death in a Nike commercial with Lebron James. He was also a professional tennis player on the USTA Senior Men’s Circuit. Keanu Reeves Making Martial Arts Epic about Tai Chi?